I’m almost done my Wool-Eater blanket! I have 16 squares, and 12 of them are joined. But true to its name, this blanket ate up all my border yarn (Handmaiden Casbah). I could’ve sworn I had more yarn, but I did look through most of the stash the other day and came up empty. There are still 2 squares that need borders, then to be joined into a row. I do have a recipient in mind for this piece so I’d really like to actually get it done! 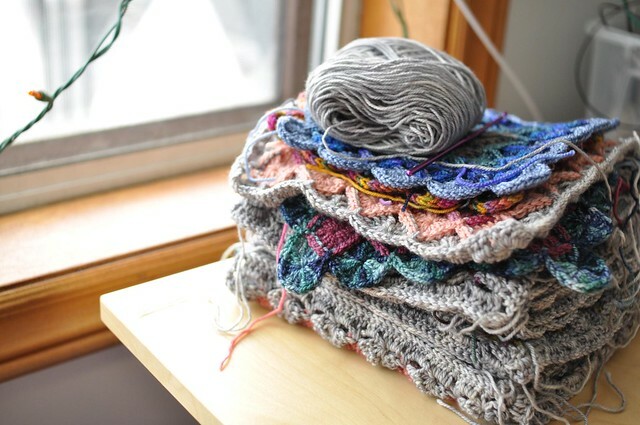 I think I’ll have to take another really good look into the stash, then if I really can’t find any more yarn, maybe I’ll have to go out and see about finding more of the yarn. It’s going to be tricky though, because Handmaiden colours can vary pretty wildly. And then there’s the ends. Man, the ends. Oh no! 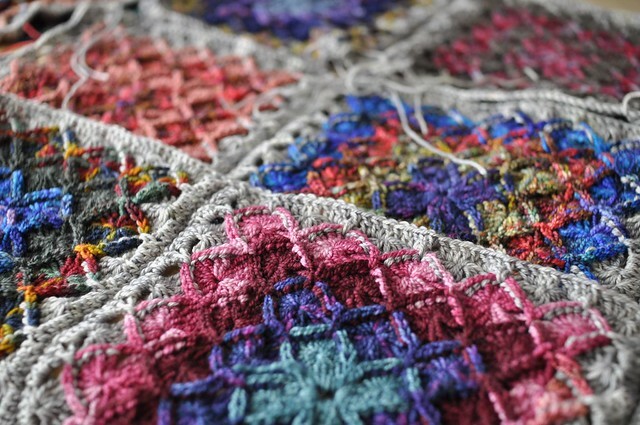 The colors are so pretty…I hope you can find another skein! Beautiful. Will there be a pattern? This is drop dead gorgeous. 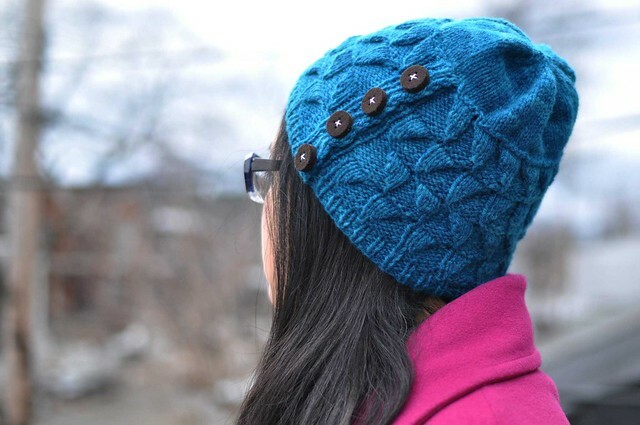 Hope there is another skein and it makes itself known to you.